Nationality: Greek. Born: Athens, 27 April 1935; surname also spelled Anghelopoulos. Education: Studied in Athens, 1953–59, Sorbonne, Paris, 1961–64, and at IDHEC, Paris, 1962–63. Military Service: 1959–60. Career: Film critic for left-wing journal Dimoktatiki Allaghi until its suppression in 1967 coup; worked as lawyer until 1969; began association with cinematographer Giorgios Arvanitis on Reconstruction , 1970; taught at Stavrakou Film School in 1970s. Awards: Georges Sadoul Award, 1971; FIPRESCI Award, 1973, for Days of '36 ; FIPRESCI Grand Prix, Golden Age Award, B.F.I. Best Film, Interfilm Award, for The Travelling Players ; Golden Hugo Award, for The Hunters ; Golden Lion Award, Venice, 1980; Cannes Film Festival Palme d'Or, for Eternity and a Day, 1998; Chevalier des Arts et des Lettres. "Mes films sont des appels à la discussion . . . ," interview with N. Ghali, in Cinéma (Paris), September/October 1975.
" Le Voyage des comédiens ," interview with J.-P. Brossard and others, in Image et Son (Paris), November 1975. Interview with Michel Ciment, in Positif (Paris), June 1977. Interview with D. Rabourdin, in Cinéma (Paris), August/September 1977. "Les Chasseurs," interview with O. Barrot and M. Demopoulos, in Ecran (Paris), November 1977. "Animating Dead Space and Dead Time," interview and article with T. Mitchell, in Sight and Sound (London), Winter 1980–81. Interviews with Michel Ciment, in Positif (Paris), February 1985, May 1987, and May 1991. Interview with G. Merat, in Revue du Cinéma (Paris), November 1988. Interview with H. Petrakis, in Positif (Paris), December 1991. Interview with E. Castiel, in Sequences , January 1992. "National Culture and Individual Vision," interview with A. Horton and D. Georgakas, in Cineaste , vol. 19, no. 2/3, 1992. Interview with C. Siniscalchi, in Rivista del Cinematografo , March 1993. Interview with A. Faber, in Filmvilag , vol. 36, no. 1, 1993. Schuster, Mel, The Contemporary Greek Cinema , Metuchen, New Jersey, 1979. Orati, Daniela, Thodoros Anghelopoulos , Venice, 1982. Estève, Michel, Theo Angelopoulos , Paris, 1985. Ciment, Michel, and Hélène Tiarchent, Theo Angelopoulos , Paris, 1989. 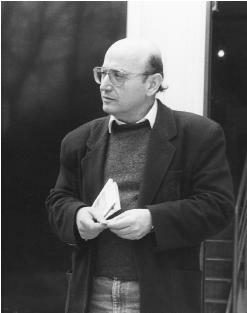 Kolovos, Nikos, Theo Angelopoulos , Athens, 1990. O'Grady, Gerald, editor, Theo Angelopoulos (MOMA Exhibition Catalogue), New York, 1990. Horton, Andrew, The Films of Theo Angelopoulos: A Cinema of Contemplation. Princeton, New Jersey, 1997. Horton, Andrew, editor, The Last Modernist: The Films of Theo Angelopoulos. Westport, Connecticut, 1997. Avant-Scène du Cinéma (Paris), December 1975. Giacci, V., in Cineforum (Bergamo), September 1976. Horton, Andrew, "Theodoros Angelopoulos and the New Greek Cinema," in Film Criticism (Meadville, Pennsylvania), Fall 1981. Dossier on Angelopoulos, in Cinéma (Paris), November 1982. "Angelopoulos Section" of Revue du Cinéma/Image et Son (Paris), January 1985. Amengual, Barthélémy, "Une esthetique 'théatrale' de la realité: sur Theo Angelopoulos," in Positif (Paris), February 1985. "Angelopoulos Issue" of Revue Belge du Cinéma (Brussels), Spring 1985. Sight and Sound (London), Winter 1988 and Autumn 1989. Brown, Georgia, in Village Voice (New York), 20 February 1990. Holden, S., "A Search for a Fictive Father," in New York Times , 14 September 1990. Rollet, S., "Theo Angelopoulos ou le cinema comme theatre du temps," in Positif (Paris), December 1991. "Der Fundamentalismus kennt nur Grenzen," in Filmbulletin , vol. 33, no. 5/6, 1991. Bolzoni, F., "Contro l'effimero," in Rivista del Cinematografo , March 1993. Maslin, Janet, "Two Films on Strife in Balkans Win Top Prizes at Cannes," in New York Times , 29 May 1995. Stevens, Julie, " Ulysses' Gaze ," in Empire (London), March 1996. Rosenbaum, Jonathan, " Ulysses' Gaze ," in Chicago Reader (Chicago), 18 October 1996. Portuges, Catherine, " Ulysses' Gaze ," in American Historical Review (Washington, D.C.), vol. 101, no. 4, October 1996. Maslin, Janet, " Ulysses' Gaze ," in New York Times , 17 January 1997. Theodoros Angelopoulos's considerable achievements in cinema during the 1970s and 1980s have made him not only the most important Greek filmmaker to date, but one of the truly creative and original artists of his time. In 1970 he convinced producer George Papalios to finance his first film, Anaparastassi. The story follows the pattern of a crime tale à la James Cain. A Greek peasant is killed by his wife and her lover on his return from Germany, where he had gone to find work. A judge tries to reconstruct the circumstances of the murder, but finds himself unable to communicate with the accused, who belong to a totally different culture. To shoot this Pirandellian story of misunderstanding, Angelopoulos adopted an austere style featuring long camera movements that show a bleak and desolate Greek landscape far removed from the tourist leaflets. Reminiscent of Visconti's Ossessione , this is a film noir that opens the way to more daring aesthetic ventures. Angelopoulos's trilogy of Days of 36, The Travelling Players , and The Hunters can be seen as an exploration of contemporary Greek history. If his style shows some influences—particularly Jancsó's one reel-one take methodology and Antonioni's slow, meditative mood—Angelopoulos has nevertheless created an authentic epic cinema akin to Brecht's theatre in which aesthetic emotion is counterbalanced by a reflexive approach that questions the surfaces of reality. The audience is not allowed to identify with a central character, nor to follow a dramatic development, nor given a reassuring morality. The director boldly goes from the present to the past within the same shot, and in The Hunters broadens his investigation by including the fantasies of his characters. The sweep of a movie like Travelling Players , which includes songs and dances, is breathtaking. Its tale of an actors group circulating through Greece from 1939 to 1952 performing a pastoral play is transformed into a four-hour earth odyssey. Angelopoulos's masterpiece was preceded by the haunting Days of '36. This political thriller about a murder in a prison proved a prelude to events of national importance. It is the director's most radical use of off-screen space and off-screen sound, of the dialectic between the seen and the unseen. With its closed doors, whispering voices in corridors, and silhouettes running to and fro, it evokes the mystery that surrounds the exercise of power. Angelopoulos's fifth film, Alexander the Great , breaks new ground: it deals with myth and develops the exploration of the popular unconscious already present in Travelling Players and The Hunters. At the turn of the twentieth century, a bandit is seen as the reincarnation of the Macedonian king. He kidnaps some English residents in Greece and leads them to the mountains. The kidnapper tries to blackmail the British government but ends up killing his hostages. Angelopoulos opposes several groups: the foreigners, the outlaws, some Italian anarchists who have taken refuge in Greece, and village people who try to establish a utopian community. The director's indictment of hero-worship and his portrayal of diverse forms of political failure reveal a growing pessimism in his works. But his style is as masterful as ever, reaching a kind of austere grandeur reminiscent of Byzantine mosaics. Few have blended political investigation with a search for new forms of expression with such satisfying results. Ulysses' Gaze is exclusively preoccupied with the problems of historical reconstruction and personal remembrance. The film, co-scripted by the legendary European screenwriter Tonino Guerra, carries out a nostalgic reconstruction of peaceful and colorful ethnic cohabitation at the Balkan crossroads between Orient and Occident. The narrative of the film breaks away from the linear not only timewise, but also spatially, providing an ultimately subjective account of a personal experience of history and regionality. In Ulysses' Gaze , Angelopoulus created the prefect cinematic language that allowed him to talk of an individual experience of history as superseding time and space. The remarkable use of elaborately manipulated long shots enables the narrative to include complex and magnificent subtleties. The mostly hand-held camera of cameraman Yorgos Arvanitis moves very slowly and is often positioned in such a way that it reveals actions taking place in different semantic layers of the screen space. The events lose their objectivity and are constructed through the gaze of the onlooking protagonist. Older historical interpretations intersect with the perceived significance of newer ones. In 1995, Angelopoulos was one of forty international directors asked to participate in Lumière and Company, a celebration of one hundred years of filmmaking with the camera invented by the Lumière brothers. For this novelty film, each director was asked to create a film in three takes, a maximum of fifty two seconds in length. Though the film was largely forgettable, the inclusion of Angelopoulos among the forty representative filmmakers clearly shows his status in international film. His 1998 film, Eternity and a Day , marked a departure in tone from much of his earlier work. Less harsh and more accessible than his earlier films, Eternity and a Day is the story of an old and ill Greek writer who finds meaning in the last days of his life by helping a homeless Albanian child. A poetic film with dense and haunting imagery, it juxtaposes youth and age, national identity and language, patriotism and ethnic hatred to create an intensely human look at the meaning of life and its unlikely sources.